Our early settlers left their homes, braved treacherous seas, and came to America’s wilderness shores as proud English subjects in search of a life with greater freedom of religion. The blood surging in their veins was the same blood that surged through the veins of hundreds of years of English subjects, all focused on the same goals – restoring Saxon common law, limiting the power of the King, acknowledging the fundamental civil rights of all individual rights, and instituting a resolute national charter establishing proper boundaries of government with respect to those rights. Their grand notions of liberty came from the Magna Carta (1215) and the great constitutional documents of the 17th century [the Petition of Right of 1628, the Habeas Corpus Act of 1679, and the English Bill of Rights of 1689], as well as from the Bible and the works of such Enlightenment philosophers as John Locke (“the Philosopher of Freedom”). Their experiment in colonizing a new world, governing themselves, and exercising the liberties they carried with them from England for their most useful and productive purposes emphasized to them that Man is a sovereign being, endowed by the Creator with certain unalienable rights, that among them are Life, Liberty and the pursuit of Happiness, and that to secure those rights, governments must derive their just powers from the consent of the governed. As their own experience with the English Crown taught them, whenever any form of government becomes destructive of those ends, it is the right of the people, as sovereign beings who are never naturally divested of their inherent natural and fundamental rights, to alter or to abolish it, and to institute a new government, laying its foundation on such principles and organizing its powers in such form, as to them shall seem most likely to affect their safety and happiness. The history of the English people, indeed most of the world, has shown that when government becomes despotic and evinces a design to reduce them to a role of oppressive subservience, the people fight back in order to regain the freedom they are entitled to. Our Founders made sure they provided for the proper avenues to counter a government that evinces such a design and even provided for the right to abolish that government. The proper avenue, as discussed in this article, is Nullification (and/or Interposition), and the rights – the natural rights – are those of self-defense, self-determination, and self-preservation, all based on free will. The natural right of free will, indeed the very basis of human life and the foundation of almost all religions, is a HUMAN right. Governments, on the other hand, have no inherent rights. They require constitutional authority to act. Nullification is a term introduced by Thomas Jefferson in 1798 when he drafted the Kentucky Resolves to articulate the reason for the state to oppose an unconstitutional federal law – the Alien and Sedition Acts. Nullification begins with the central premise that a federal law that violates the Constitution is no law at all. It is void and has no effect. It has no force of law. It is unenforceable. But it goes one step further. If a law is unconstitutional and therefore void and of no effect, it is up to the states, the parties to the federal compact (see later), to declare it so and thus refuse to enforce it. It would be foolish to wait for the federal government, or a branch thereof, to condemn its own law or censure its own conduct. Nullification provides the necessary “shield” between the people of a state and an unconstitutional law or policy (even judicial decision) from the federal government. Our Founders labored and debated extensively over how to establish a nation governed by limited federal government. But one question remained: What can be done if the government violates the very Constitution which defines it? What protections are available for the people? In fact, that question became very urgent in 1798 when the government enacted the Alien and Sedition Acts and attempted to quash free speech. Thomas Jefferson and James Madison then began a series of correspondence throughout 1798 over their joint concern over the Alien and Sedition Acts, their discussions over the proper state response, and for the future of the constitutional republic. Jefferson drafted a series of resolutions that addressed several things, including the following: (1) it described the nature of the federal union; (2) it condemned the Alien and Sedition Acts as gross violations of the Constitution; and (3) it considered the proper response to be taken by the states. In fact, both man drafted separate resolutions. “Encroachments springing from a government whose organization cannot be maintained without the cooperation of the States, furnish the strongest excitements upon the State legislatures to be watchful, and impose upon them the strongest obligation to preserve unimpaired, the line of partition (talking about our federal system; state v. federal powers). The principle of Nullification is a States’ Rights Remedy (termed the “Rightful Remedy”) inherent in the states’ reserved powers under the Tenth Amendment and founded in the Compact Theory of Federalism to limit the power and scope of the federal government as it attempts to govern and expand its powers beyond those that are clearly, specifically, and intentionally enumerated in the US Constitution. The principle also underlies the message of Article VI, section 2 (The Supremacy Clause), which states that the Constitution and all laws made in furtherance of, …. are to be considered the supreme law of the land. This principle affirms that the states, the parties to the compact which created and gave breath to the federal government with specificity, have the right – even the duty – to declare when federal laws and other official acts exceed the powers delegated to the federal government in the Constitution. Often we refer to our government as a “federal’ government without really understanding what it means. To state that our government is a “national” government, on the other hand, would imply something completely different. A “federal” government implies that we are a federation of sovereign states which has granted or transferred some its authority to a government to serve, maintain, and support the union. A federal government implies a limited government that respects the sovereign powers of the states. It implies a government that “serves” the individual states. Indeed, we have a federal republic where the individual states come together and have joint deliberations in government, but those deliberation do not impair the sovereignty of each member. We did not create a nationalistic entity – that is, a “national” government – which would imply that the sovereign powers of the states have been sacrificed to an all-powerful government. “Nationalism” was not on our Founders’ minds, and for good reason. The delegates at the Constitutional Convention in 1787 nearly unanimously rejected that notion in favor of federalism. Nationalism is the unhealthy love of one’s government, accompanied by the aggressive desire to build that governmental system to a point that it is above all else, and becomes the ultimate provider for the public good. Nationalism puts the nation before the Individual. We call our founding settlers and Founding Fathers “patriots” and not “nationalists.” Patriotism is love of country, Nationalism is love of government. Our Founders had very good reason to draft the provisions in such terms and the states had very good reason to ratify the Tenth amendment on December 15, 1791. The issue of power – and especially the great potential for a power struggle between the federal and the state governments – was one that was very important at the time our Founding Fathers were trying to fashion an institution to serve the united purposes of the states. They deeply distrusted government power, and their goal was to prevent the growth of the type of government that the British has exercised over the colonies. They weren’t willing to trade one tyrant government for another. As history clearly records, adoption of the Constitution of 1787 was opposed by a number of our most important and well-known patriots – including Patrick Henry, Samuel Adams, Thomas Jefferson, and others. They passionately argued that the Constitution would eventually lead to a strong, centralized state power which would destroy the individual liberty of the People. These opponents would be termed the “Anti-Federalists,” which is actually a misnomer of a name because they were the strongest supporters of the states’ sovereign powers. [The Federalists were the group who won the day at the Constitutional Convention in Philadelphia in 1787]. It was because of the strength of their arguments, their persistence, their intellectual influence through many writings in widespread publications, and the very track record of history that led to the addition of the Tenth Amendment to the US Constitution. It is exceedingly clear that the Tenth Amendment was written and adopted to emphasize the limited nature of the powers delegated to the federal government. In delegating just specific powers to the federal government, the states and the people, with some small exceptions, were free to continue exercising their sovereign powers. To look at the frame of mind of the states when they adopted the Constitution, look at their comments in the ratifying conventions and look at the terms they used. The terms included “compact” and “agent” (meaning the federal government was intended to be an agent of the states). This is the best indicator of the foundations of our system of government. It is not for us to redefine those foundations. And it is certainly not for the federal government to do so. Again, it wasn’t even a party to the compact; it was the creation. (With respect to the Declaration of Independence of 1776)… “Thus were established the two great principles asserted by the Colonies, namely: the right of a State to govern itself; and the right of a people to abolish a Government when it becomes destructive of the ends for which it was instituted. And concurrent with the establishment of these principles, was the fact, that each Colony became and was recognized by the mother Country a FREE, SOVEREIGN AND INDEPENDENT STATE. It is a good thing the doctrines of nullification and interposition are being revived. Perhaps it’s the urgency of the constitutional crisis we face that has made the doctrines so appealing and sensible. 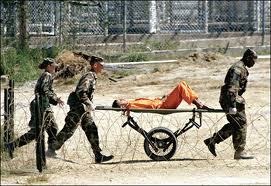 One notable example of its recent application is with the “indefinite detention” provision of the National Defense Authorization Act (NDAA), which declares the United States to be a battlefield and allows the President to apply the rules of war to American citizens, which includes the right to indefinitely detain, ship to detention centers overseas, interrogate, torture, subject to military tribunal, or kill. The NDAA was passed to extend the authority to fight terror that was granted under the 2001 AUMF (Authorization for Use of Military Force), except that while the AUMF was intended to apply only to those associated specifically with the events of 9/11, the NDAA creates a second classification of targets that the president can apply military law to – American citizens. [Section 1021(b)(2) defines this new target as: “A person who was a part of or substantially supported Al-Qaeda, the Taliban, or associated forces that are engaged in hostilities against the United States or its coalition partners, including any person who has committed a belligerent act or has directly supported such hostilities in aid of such enemy forces.”] It is this new classification that is at the core of the controversy and the heart of the opposition. It is perhaps significant that the government, ever since the Civil War, has been looking for power to target citizens for anti-government conduct in excess of what the Constitution has already granted. Article III of the Constitution – the “Treason Clause” – provides the only constitutional trial remedy for those who make war against their own nation or give aid and comfort to its enemies. Up to the Civil War, in every rebellion, from Shay’s rebellion, to the Whiskey Rebellion, to Aaron Burr’s attempt to raise an Army against the U.S., to John Brown’s attack on Harper’s Ferry, each person tried for their actions of taking up arms against their nation or aiding the enemy were tried for treason, before a jury, in a civilian court. None of them were brought before a military tribunal. If the Founders had intended to give the military jurisdiction over such people, what was the point of the Treason Clause? Furthermore, Article I, Section 9, clause 2 – the Habeas Suspension Clause – allows for the suspension of habeas corpus, but only by an act of Congress. [“The privilege of the writ of habeas corpus shall not be suspended, unless when in cases of rebellion or invasion, the public safety may require it.”] Habeas suspension, which can be done only by congressional statute, would deny an individual access to the courts altogether. Luckily it is limited to times of actual invasion or rebellion and luckily it is subject to the principle of separation of powers. A person either has full access to courts that must rigorously assess the violation to the person’s Bill of Rights or has no access to courts at all (yet still retaining his full complement of rights). Under the NDAA, a person that is targeted by the government loses his civil rights altogether. Finally, such a habeas suspension only allows detention, not trial by tribunal, and it also does not “make it legal” for the government to torture people, or summarily execute them. The protections embraced by the Bill of Rights are not suspended, only the ability to challenge their violations in court. “Until the war on terrorism, this claimed power of the president to operate outside the Bill of Rights was asserted on only two other occasions in our history: The Civil War and World War II. In the Civil War, the southern states that broke away formed their own nation with a constitution, a legislature, a president, an army, and a navy. They printed their own money, sent and received ambassadors, etc. The North and South exchanged prisoners, followed the laws of war in the treatment of POWs, negotiated cease-fires and conducted a formal surrender at the end. Only in this anomalous situation of a civil war, where a part of the U.S. had broken off, were U.S. citizens from the South treated as foreign enemies for purposes of military jurisdiction. There was no way to avoid that, as all of the southerners were U.S. citizens till they broke away. As most students of history know, the Supreme Court addressed Lincoln’s suspension of habeas corpus after the end of the war, in the landmark case of Ex parte Milligan (1866). Milligan was accused of plotting to kidnap the governor of Indiana, break into an Army armory and steal weapons, set Southern POWs free, and then spark an insurrection in Indiana so the South could invade. He was detained and tried by a military tribunal, found guilty, and sentenced to death. Luckily, the war ended before his execution and so the Supreme Court heard his challenge to the government’s denial of his rights of habeas corpus (which is what the term “ex parte” means). At issue was the treatment of Northern civilians as the “enemy” and therefore subjecting them to “justice” under military tribunals. The Court found this unconstitutional. “The Milligan Court rejected the argument that a U.S. citizen could ever be an ‘enemy.’ The Court affirmed the use of military jurisdiction over two categories of persons: those in the U.S. military (and in the militia when called into service) and the enemy. In the peculiar circumstance of the Civil War, the Court had no problem at all with using military jurisdiction for detention and trial of the soldiers and even civilians of the breakaway South who had effectively renounced their U.S. citizenship. However, the Court pointed out that Mr. Milligan was not in the military (the Union Army) and was not a resident of one of the rebellious states. This is really the same as saying he was not a citizen or resident of a foreign nation with which we were at war. It did not matter to the Milligan Court what Milligan had done, or what laws of war he might have violated. What counted was who he was. If he was a northern civilian, he could not be tried by tribunal for any actions nor held as a POW or “unlawful combatant” because he just was not in one of the two categories of people subject to the military. He was a northern citizen who was making war on his nation and aiding the enemy. The proper remedy for such is a trial for treason, or at least for violation of a statute, before a jury in an Article III court, not a military trial. Star Chamber Courts (simply referred to as the Star Chamber) were arbitrary, corrupt, and maligned courts which were used with great notoriety during the 17th century to prosecute the political enemies of James I and his son Charles I. The judges appointed to the Star Chamber were the King’s own hand-picked men. The courts were known for their abuses, corruption, and misuse of authority precisely because of such concentration power in an autonomous group, which was not subject to the checks and balances of common law and which held its proceedings in secret. 9/11 and the War on Terror turned the Milligan case on its head. In 2001, Yaser Hamdi, an American citizen was captured by the US military in Afghanistan fighting for the Taliban. He was declared an “enemy combatant,” and transferred to a military prison in Virginia where he was held indefinitely and not given access to an attorney or charged with a crime and given a trial. Hamdi took his case to the Supreme Court, where he claimed the government violated his 5th Amendment right to Due Process. The government countered that the Executive Branch had the right, during wartime, to declare people who fight against the United States “enemy combatants” and thus restrict their access to the court system. Rather than affirm the principle established by Milligan, which stated that a US citizen, regardless of his conduct, is protected as an accused by the Bill of Rights, the Supreme Court referred to a dangerous decision by the FDR Court in 1942 known as Ex Parte Quirin, which held that the conduct of a citizen can determine whether he retains or loses the protections afforded by the Bill of Right. In a decision written by Justice Sandra Day O’Connor, the Court in Hamdi stated unequivocally that “there is no bar to this Nation’s holding one of its own citizens as an enemy combatant.” According to the majority on the Court, the mere labeling of a person as an “enemy combatant” removes the shield of the Bill of Rights and replaces it with a new judge-created system of minimal administrative process to “challenge” that designation. The Quirin case, decided by a court packed and heavily influenced by FDR, a very powerful wartime president, should have never been decided as it was and should have never been “brought back to life” as a bright-line rule to bolster government conduct. It should have remained a “one-time, expedient decision to justify the predetermined actions of President Franklin D. Roosevelt,” as Rhodes puts it. On the night of June 13, 1942, eight German agents landed near Long Island, NY after traveling to the US by submarine to sabotage various US targets. They were wearing German uniforms and carried explosives when they landed. Thereafter, however, they buried their uniforms and supplies, and proceeded, in civilian dress, to various places in the United States. All had received instructions in Germany from an officer of the German High Command to destroy war industries and war facilities in the United States, for which they or their relatives in Germany were to receive salary payments from the German Government. They were subsequently arrested, charged with enemy conduct under the President’s Proclamation of July 2, 1942, detained, and, on the orders of President Roosevelt, tried by military commission. One of the men, Richard Quirin asserted that he was a US citizen. Like the others, Quirin was charged with “being an enemy of the United States and acting for . . . the German Reich, a belligerent enemy nation, secretly and covertly passed, in civilian dress, contrary to the law of war, through the military and naval lines and defenses of the United States . . . and went behind such lines, contrary to the law of war, in civilian dress . . . for the purpose of committing . . . hostile acts, and, in particular, to destroy certain war industries, war utilities and war materials within the United States.” The commission nonetheless found all eight men guilty and sentenced them to death. [The President’s Proclamation declared that all persons who are citizens or subjects of, or who act under the direction of, any nation at war with the United States, and who during time of war enter the United States through coastal or boundary defenses, and are charged with committing or attempting to commit sabotage, espionage, hostile acts, or violations of the law of war, “shall be subject to the law of war and to the jurisdiction of military tribunals.” It did not bar accused persons from access to the civil courts for the purpose of determining the applicability of the Proclamation to the particular case]. The NDAA, which codifies the decisions in Quirin and Hamdi, allows the President to suspend fundamental civil rights for those he suspects of waging war or aiding/comforting the enemy (… being a “belligerent”), to detain them indefinitely, torture them, and even kill them, without any of the procedural protections of our Bill of Rights: No Grand Jury indictment; no trial by jury with its requirement of a unanimous verdict of twelve of one’s peers; no possibility of an unreviewable acquittal and immunity from further prosecution; and no protection against compelled self incrimination. The presumption of innocence is gone, as is the requirement of a showing of guilt beyond a reasonable doubt. Instead, the government will enjoy a presumption that its allegations are accurate. The accused will have the burden of proving his innocence, but will have no right to compulsory process of witnesses and no right to confront the secret evidence and witnesses against him. The bill was supported by US legislators who claim that it cannot be used to target US citizens. Obviously, they fail to be properly informed. The bill is minimized by American citizens who believe that our government could and would never target American citizens and detain them indefinitely, denying them the protections under the Constitution. Obviously, they fail to understand history. Should the American people wait for Congress to make things right? Should they wait for Congress to remove the offensive language of the NDAA which turns the authority to wage war on terror on American citizens themselves? Congress had the chance when the NDAA of 2012 recently came up for re-authorization. Rather than root out the evil, they voted to renew the bill, including the “indefinite detention US citizens without charge” provision. Can the American people truly expect President Obama to relinquish the power to define and identify “belligerents” as he sees fit and to wage war as he would like? He has already targeted and killed three American citizens, using unmanned drones, on classified information that his “team” collected and only he was authorized to review. The ACLU has sued the Obama administration under the Freedom of Information Act (FOIA), seeking for force disclosure of the guidelines used by Obama and his officials to select which individuals (both U.S. citizens and foreign nationals) will have their lives ended by the CIA’s drone attacks (“In particular,” the group explains, the FOIA request “seeks to find out when, where and against whom drone strikes can be authorized, and how the United States ensures compliance with international laws relating to extrajudicial killing”). The Obama administration has not only refused to provide any of that information, but worse, the CIA is insisting to federal courts that it cannot even confirm or deny the existence of a drone program at all without seriously damaging national security. Nullification and Interposition are the answer. What better scenario than the attack on fundamental American liberties by the NDAA to apply what Jefferson and Madison believed to be the “Rightful Remedy” to curb the excesses and abuses of the federal government? On April 18, the Virginia legislature approved House Bill 1160 (H.B. 1160), commonly referred to as the NDAA Nullification Act. Support was overwhelming. The House vote was 89-7 and the Senate concurred a few hours later, by a vote of 36-1. The truth is that the bill is not quite a nullification bill. The bill merely announces that the state wants nothing to do with it and will not allow any of its agencies or personnel to assist the federal government in applying and enforcing section 1021 of the National Defense Authorization Act (NDAA), which addresses the targeting and indefinite detention of American citizens. Simply stated, the bill “Prevents any agency, political subdivision, employee, or member of the military of Virginia from assisting an agency of the armed forces of the United States in the conduct of the investigation, prosecution, or detention of a United States citizen in violation of the United States Constitution, Constitution of Virginia, or any Virginia law or regulation.” A true nullification bill would have prevented any enforcement whatsoever of the provision within the state borders. The bill was introduced by VA delegate Bob Marshall and he defended the bill strongly on the legislation floor. He spoke to the federal NDAA’s vagueness as well as the attempt by Congress and the President to use military law to detain American citizens as a way to circumvent the Treason Clause. He also emphasized that under our system of dual sovereignty, state legislators have a responsibility to be watchdogs against the federal government. Delegate Barbara Comstock, on the other hand, opposed the bill by stating that state legislators have no business questioning the federal government. The reason the bill passed was not necessarily because of the noble intentions and affirmative action of the legislators. It was not passed because of an inherent obligation on the part of the state of Virginia to keep the federal government within its bounds. It was the will of the people that triumphed. When the VA Senate originally tried to hold the bill over until next year’s session (effectively killing it), thousands of grassroots activists contacted their Senators to demand that they support it. Another vote was taken quickly and the outcome was quite a different story. It passed 39-1. And so it had to head back to the House for approval, where again, parliamentary tricks and maneuvers were used to try to stall and kill it. But again, the grassroots activists sprang into action. Activists from groups from all across the political spectrum called and emailed their representatives urging to move the bill forward. Finally, it passed. But there was still one other hurdle. VA Governor Bob McDonnell didn’t want to sign it. He was clearly in a bind. If he vetoed the bill, he would be able to keep in good standing with the “establishment” which supports NDAA detentions, but then he would become hugely unpopular with a huge portion of his state’s population – from all political parties – who wanted the state to take a stand against the indefinite detention of Virginians. On April 18, the deadline he had to either sign or veto the bill, he engaged in some behind-the-scenes negotiation with the sponsors and supporters. He recommended some changes, which were accepted, and the bill was enacted. It will take effect on July 1st. Virginia, Maine, Utah, and Arizona have passed bills opposing and nullifying the NDAA, and many other states have introduced similar bills. South Carolina will address a resolution just as soon as it goes into session. Many local governments and groups have already passed resolutions. On January 17th, 2012 the County Commissioners of Elk County, Pennsylvania unanimously passed a resolution opposing the NDAA, titled “To Preserve Habeas Corpus And Civil Liberties.” Sheriff Mike McMoran, Comanche County, Kansas, Sheriff Grayson Robinson, Arapahoe County, Colorado, and former Sheriff Richard Mack have signed resolutions opposing the NDAA and ordering no one in their department to cooperate with the enforcement of the NDAA. And most recently, a Pennsylvania constable signed a resolution. Groups across the political spectrum are supporting the nullification and/or repeal of the NDAA, such as the ACLU, Demand Progress, Downsize DC, Gun Owners of America, Japanese American Citizens League, the Tenth Amendment Center, Oath Keepers, Amnesty International, the Patriot Coalition, PANDA – People Against the National Defense Act, Rhode Island Liberty Coalition, the John Birch Society, Tea Party groups, Reclaim Democracy, Bill of Rights Defense Committee, People’s Campaign for the Constitution, Unitarian Universalist Service Committee, United Church of Christ Justice and Witness Ministries, United Methodist Church General Board of Church and Society, Physicians for Human Rights, Presbyterian Church (USA) Office of Public Witness, Rabbis for Human Rights –North America, and the National Religious Campaign Against Torture. Ron Paul supports nullification as an American, a constitutionalist, and a Congressman, and he supported it publicly as a presidential candidate. On May 16th, Rep. Justin Amash (R-MI), Rep. Adam Smith (D-WA), Rep. John Garamendi (D-CA), and Rep. Ron Paul (R-TX) held a press conference about the Smith-Amash Amendment to the NDAA, which would repeal the indefinite detention provisions. Unfortunately, that amendment failed in the US House by a vote of 182-236. On the same day as the press conference, US District Judge Katherine Forrest in Manhattan ruled to temporarily block Section 1021 of the NDAA pending the result of the Hedges v. Obama case. This will be a case to watch. The type of collaboration that took place in Virginia – between conservatives and progressives – is clearly what secured H.B. 1160’s success. This might be the key to defeating the indefinite detention provisions of the NDAA in other states. It is certainly the way to pique the interest of state representatives who otherwise would choose not to take a position. How Will North Carolina Respond? My state of North Carolina is now one of about 11 states to address the NDAA. Luckily, it is home to the founder and director of the Patriot Coalition, a devoted organization which serves as a watchdog over the legislation and conduct of the federal government. The Patriot Coalition and Oath Keepers have classified the NDAA as an “Intolerable Act,” referencing the time in our early history when England enacted a series of oppressive legislation on the colonies, denying them their rights as British subjects, and ultimately pushing them towards our independence. According to the Patriot Coalition and Oath Keepers, the Intolerable Acts embrace two time periods in American history. The first such acts were implemented by the British Parliament and the King of England against the American Colonies just prior to the American Revolution, and were also known as the “Coercive Acts.” The second such period of tyrannical oppression on the God-given Rights of the People began shortly after the attacks of 9/11/2001, and included several Acts of Congress that were signed into law by Presidents G.W. Bush and Barack Obama. NC Rep. Glen Bradley introduced an anti-NDAA Resolution – H.R. 982 – in the general assembly a few weeks ago. Rep. Bradley is a strict constitutionalist which apparently has made him fairly unpopular with the establishment in Raleigh. The Patriot Coalition, which co-wrote the Resolution with Oath Keepers, along with many concerned citizens, have tried to convince legislators to take the resolution seriously and to push it through the Rules Committee so it can have its day on the legislature floor. Apparently, there are certain members of the NC Assembly that don’t want to support the resolution simply because they don’t care for Rep. Bradley. What a slap in the face for the people of North Carolina who care about how closely Big Brother is watching over them. The “litmus” test for whether to support legislation should NOT be whether the sponsoring representative wins a personality contest but rather whether the legislation is good for the citizens of North Carolina. H.R. 982 stands up for the Bill of Rights which protects each citizen from a government which may try to take away his rights to life and liberty. Every citizen deserves to be charged with a crime before being detained, have the opportunity to challenge his detention, have his day in court, confront his accuser, and have access to the information and evidence used to bring charges against him. And so the Patriot Coalition arranged a series of briefings for the benefit of educating the NC legislators and the public on the evils contained in the NDAA. The briefings took place all day on May 30th and again on the afternoon of May 31st. Mr. Stewart Rhodes, founder and president of Oath Keepers, volunteered his time and drove to North Carolina to offer a presentation to the NC General Assembly to educate them as to our history of applying the laws of war to American citizens, how that relates to the NDAA, and what the implications are in this slippery slope which now has the federal government spying on American citizens and taking away their liberty interests and in Obama’s case, their lives. “Obama is claiming, like Bush before him, that he has plenary (complete; broad) inherent power to detain American citizens, but even if that is not so, he is claiming, as a fall-back, that Congress authorized that power under the 2001 AUMF. What Congress did with the NDAA of 2012 was to affirm this interpretation. Congress affirmed that the Executive Branch has the right, during wartime, to declare people who fight against the United States ‘enemy combatants’ and thus restrict their access to the court system (ie, suspend their rights under the Bill of Rights). What Congress said with the NDAA is to say that ‘Yes, when we voted to give authorization, we intended to allow for detentions and military trials.’ Pursuant to the laws of war, the president is authorized to use any and all necessary and appropriate force to detain covered persons [see Section 1021(b)(2)] pending the settlement of hostilities and these include: (1) detention until the end of such hostilities; (2) military trials; (3) transfer to any other competent tribunal; and (4) repatriation or transfer to any other country. The AUMF has been interpreted by two administrations and by the Supreme Court in Hamdi v. Rumsfeld (2004) as applying to the detention of American citizens. ‘Covered persons’ under the bill includes ‘any person.’ It doesn’t say ‘a person other than a US citizen.’ Lawyers use language for a reason. So where are we now? We are in a direct parallel to the abuses of the Crown and Parliament that were perpetrated on our forefathers. The exact kind of violations of our traditional rights is going on right now by our own government. It doesn’t matter a hill of beans if only one or two Americans are affected or if the NDAA is ultimately used to catch a few terrorists. It’s the principle that we must oppose before our government gets as bad as the English Crown in the years prior to the Revolutionary War. I refuse to wait for a concentration camp full of Americans or a fellow veteran to be targeted and killed by a predator drone. We are leaving life and death decisions in the hands of one man – the President. It’s not about electing a man who won’t use such powers; it’s about making sure than no president can use those powers. Concentrated power in a president and the power to indefinitely suspend habeas corpus were not part of the constitutional design that our forefathers fought for. That is precisely what they fought against. Even King George never claimed a power that extreme. Our fathers and grandfathers fought in World War II and in the Cold War era to liberate people all over the world from rulers who claim the same power that our current leaders have assumed for themselves. Yet we the people are silent. One of the charges against King George is that ‘He has placed us outside of his protection and has waged war against us with his actions.’ I believe our current government is going down that same path. They are claiming to have the power to apply the laws of war against us as if we were al Queda or the Taliban. There is no difference between you or a goat herder in Afghanistan, according to Obama (or Bush before him, unfortunately). What can be done to a goat herder in Afghanistan? Well, US military doesn’t have to go to an Afghan judge and get a warrant to arrest him for suspicion of being part of the insurgency. They can just go get him. The US military also doesn’t have to put him on trial and convict him before they shoot him. They can just kill, capture, or try such an Afghani goat herder in a military tribunal somewhere, simply on the suspicion of being part of the insurgency. And now they claim the same can be done to us. There is no distinction between the power being claimed by the Obama administration under this law and the power assumed by every dictator throughout the course of world history. Every dictator, whether it was Mussolini or Stalin or Pol Pot or Hitler, or some tin-hat dictator in South America – like Chavez. Every one of them had (or has) the power to just point a finger at someone and say ‘He’s an internal enemy.’ Despots like Stalin, Mussolini, Hitler, or Pol Pot didn’t have to go to a judge for a warrant or provide those they rounded up a jury trial. They just took them out back and shot them. Stalin used to have show trials. He would torture someone until he confessed to conspiracy over something or another, and if that person were really tough and wouldn’t confess, Stalin would threaten to kill his family. Sometimes, Stalin would bring in family members and force the suspected conspirator to watch them being tortured or killed. This is the power of a dictator. This is not the power of a president under a limited government constitution with a Bill of Rights. This is not the power of a president in this Republic. This is an alien form to our system. This claimed authority to apply the laws of war to us as citizens, as if we were foreign enemies, wipes away our constitutional rights and protections. It destroys our constitutional or federal compact. It is a deal-breaker. It puts us in the same position as our forefathers leading up to the American Revolution. This legislature has an obligation and a duty to stand up to the actions of the federal government. As James Madison put it in the Virginia Resolutions – the legislature has a duty to interpose itself between the people of that state and an unconstitutional action by the federal government. He wrote that in response to the Alien and Sedition Acts, which were gross violations of the First Amendment. Newspaper editors and publishers were being imprisoned simply for criticizing the actions of the administration. Both Jefferson and Madison understood that such a serious and dangerous usurpation of power and violation of the rights enshrined in the First Amendment by the federal government had to be opposed by the state legislatures. You should listen to Madison. He’s the Father of our Constitution. We’re pretty much in the same situation today. 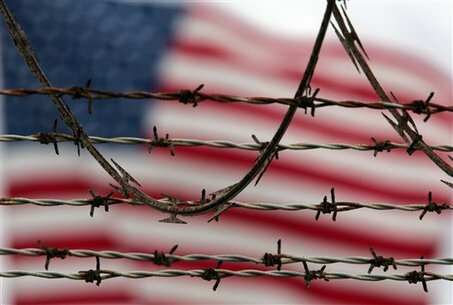 The indefinite detention provision of the NDAA as against American citizens is just as serious and dangerous a usurpation of power and as egregious a violation of basic and treasured civil rights. We need to put the proverbial genie back in the bottle because we’re in dangerous territory. Now the Bill of Rights has essentially been reduced to the mere status of a statute rather than supreme law because Congress, enacting a bill such as the NDAA authorizing military force, is seen by the courts as setting aside the Bill of Rights for you and me and our children. Very dangerous territory for sure. We hope Congress will fix the problem, although it just had the chance to do so with the 2013 NDAA, but they failed us. So we’re going to have to fix it. The States are going to have to fix it. We have to rollback the power of the federal government, and in this case, the power of the Executive. At the very least, we have to put them on notice. Consider what Montana did in the wake of the Heller decision – the historic 2nd Amendment case. [District of Columbia v. Heller, 2008]. As the Supreme Court was deliberating the case (whether Mr. Heller had an individual right under the 2nd Amendment to own and possess a gun in Washington DC), the Montana state legislature ruled that if the Court did not uphold the 2nd Amendment as an individual right but rather interpret it as a collective right (only applying when individuals are organized in a militia), they would consider it a violation of the compact, or agreement, under which Montana agreed to enter and be part of the Union. This is not a Right or Left issue. It’s a Bill of Rights issue. It’s an American issue. Hitler held an arbitrary power to detain and execute the German people. I don’t understand why people don’t get that. How can citizens expect liberty to last when this is the kind of response we get from that those entrusted with preserving the system provided to us by our Founders. How can citizens help but become apathetic and cynical with respect to government? As brilliant constitutionalists such as Judge Andrew Napolitano wonder: If we allow the government to target American citizens who might be hostile to the United States (as the NDAA allows), how long do you think it will be before the government uses the same power to go after those who are political opponents? Will we see the day when Americans are entitled to their protections under the Bill of Rights so long as they are citizens “in good standing”? Will the government determine (such as what Homeland Security is currently doing) what it means to be “in good standing”? North Carolina was the first state to urge the Continental Congress to adopt a formal declaration of independence from England. On May 20, 1775, Mecklenburg County adopted a resolution (the Mecklenburg Resolution) declaring that the British Parliament was an enemy of America and its people and violates the rights of man, and therefore the citizens of that county dissolve the political bands which connect them with the Crown. The Halifax Resolves, which were passed on April 12, 1776 by the Fourth Provincial Congress of North Carolina that met at Halifax County, were the very first instructions by any colony that authorized its delegates to the Continental Congress to vote for independence from Great Britain. 83 members voted unanimously to authorize North Carolina’s delegates to vote for independence. Finally, North Carolina wouldn’t ratify the US Constitution until a Bill of Rights was added; it wouldn’t even consider joining the Union until individual rights were sufficiently protected from the reaches of a federal government. It ratified the Constitution on November 21, 1789 and was the second to last state to do so. Rhode Island was the last state to ratify and only did so by 2 votes. North Carolina seems to have a legacy to live up to. INDIVIDUAL LIBERTY COMES FIRST !! North Carolinians have always been patriots and not nationalists. We’ve pledged our loyalty to our country (and what it stands for) and not to our government. We’ve been beaten down since the Civil War and coerced by a government determined to weaken the states so that boundaries can become blurred, but my hope is that the spirit of 1775 and 1776 and 1789 isn’t dead. Rhodes’ response was quite a shock to me. He said that we couldn’t imagine how many people have asked him the very same thing all over the country when he travels and speaks. Guess what? The people fear their government. That’s tyranny. It is said that NC House Majority Leader Paul “Skip” Stam opposes nullification. He sees it as a racist doctrine. And yet he is an attorney. According to Stam’s position, if our current president was Hitler and he just passed a bill suspending the civil rights of all those who did not vote for him and enacted legislation announcing that Jews were no longer citizens and could not own property or own a business, then North Carolinians would be have to help build concentration camps and simply hope that the next election votes him out of office and ushers in a new Congress which would repeal the laws. Yet as we saw under Hitler, so much can happen once civil rights are denied the people. The success of H.R. 982 will have much to do with Rep. Stam’s character as a public official. Will he honor his oath and defend the Constitution of the United States and the NC constitution as well? Or will he kill a bill simply because he doesn’t like Rep. Bradley. Will he take the notion of dual sovereignty seriously or continue to believe that states have no right to question the authority of the federal government? The first duty of a person who has taken an oath to the Constitution is to support and protect the Constitution of the United States – from enemies foreign and domestic. The primarily purpose of the Constitution is to confine and constraint the federal government, define limits of government with respect to individuals, and protect those fundamental rights to Life, Liberty, and Property. It does not give “We the People” our fundamental rights, because our rights, under Natural Law, predate the Constitution and derive from our relationship with the Creator. Never in the history of the United States have our citizens pledged their allegiance to the federal government. If a public servant determines a law or proposed law to be unconstitutional, he has an affirmative and active duty to enlighten his fellow representatives as well as citizenry. First, he is obligated to not support or enforce such law. Second, he is obligated to sound a public alarm regarding any such legislation or law and to rally public action against it. The duty under the Constitution is to keep the federal government in check. The ultimate goal of Nullification, of course, is to safeguard individual liberty and to preserve our Republic. We don’t ever want to be in the situation of ancient Rome, as depicted in the greatest movie of all time, Gladiator, where the Senate, the voice of the people, was losing significance and the Republic itself was in its last days. Emperor Marcus Aurelius summed up what had become of Rome: “There was once a dream that was Rome. You could only whisper it. Anything more than a whisper and it would vanish… it was so fragile. And I fear that it will not survive the winter.” Our republic is also perilously frail. The National Defense Authorization Act is a perfect example of when nullification and interposition should be used in current times, or as Thomas Woods’ would say – “to resist federal tyranny in the 21st century.” The post 9/11 government has put this country on a dangerous slippery slope that Germany knows all too well. When Hitler became Chancellor of the Reich on January 30, 1933, a fire broke out “suspiciously” during the night of February 27, which destroyed the Reichstag and set in motion a series of actions which took the civil liberties away from political dissidents, then certain undesirables, and finally the Jews. (The “suspicious” fire was set on Hitler’s own orders, in order to set his agenda in motion). We can’t allow the erosion of our most important constitutional protections just so that the government can catch one or two bad guys. Thomas Woods, Nullification: How to Resist Federal Tyranny in the 21st Century, 2010; Regnery Publishing; pg. 3. Thomas Jefferson, “Draft Kentucky Resolves of 1798,” The Writings of Thomas Jefferson, (Memorial Edition) Lipscomb and Bergh, editors ME 17:387. United States v. Sprague, 282 U.S. 716, 733 (1931). Ex parte Milligan, 71 U.S. 2 (1866). 1. Judge Spencer Roane would have been appointed Chief Justice of the Supreme Court by Thomas Jefferson had President John Adams not appointed John Marshall in the waning hours of his presidency]. 2. Note that in the 1790’s, the Twelfth Amendment had not yet been added to the Constitution and so the candidate who received the greatest number of electoral votes became president and the second highest vote-getter became the vice-president]. 3. Unfortunately, the Kentucky Resolutions of 1799, as important a political document as it was, was largely overlooked by the rest of the country because George Washington, the Father of our County, passed away just weeks after they were ratified and his death dominated national news and national publications]. In both quotes, notice how the verb following “United States” denotes a ‘plural’ subject… that is “united” states. The term “united” describes the status of the states. The verb following “United States” doesn’t end with an “s” and therefore does NOT indicate a singular unit; it does not indicate a singular subject. The term “United States” refers to the status of states and not the name of the country. 5. Read how a Tea Party member in Ashville (NC) had a surprise visit by the Feds and a local police officer because he wrote to get an EPA administrators contact info. The account is unbelievable and appalling. The interrogation of Mr. Keller is beyond anything a reasonable citizen should expect from government. Decent, law-abiding citizens have the fundamental right to “be left alone” by government, as Supreme Court Justice Brandeis once announced. On Wednesday, May 2, 2012 at about 1:45 pm two Special Agents from the EPA and an armed police officer who stood 6’6” tall visited our house in Asheville, NC. Their visit was a total surprise as we had not received any communications requesting an appointment. The agents presented very official looking badges and asked if we could sit and chat awhile. We moved to the back porch and took our seats with the exception of the armed officer who stood by the door to the house the entire time. At this point I asked for business cards which they said they had when the first entered. Both agents suddenly discovered they were out of business cards. They left via the back staircase and to my shock the agents had parked their car almost blocking my driveway and the police officer parked in my neighbor’s driveway. (1). Resolved . . . That whosoever directly or indirectly abets, or in any way, form, or manner countenances the invasion of our rights, as attempted by the Parliament of Great Britain, is an enemy to his country, to America, and the rights of man. (2). Resolved . . . That we the citizens of Mecklenburg County, do hereby dissolve the political bands which have connected us with the mother country, and absolve ourselves from all allegiance to the British Crown, abjuring all political connection with a nation that has wantonly trampled on our rights and liberties and inhumanly shed innocent blood of Americans in Lexington. (4). Resolved . . . That we hereby ordain and adopt as rules of conduct all each of our former laws, and that the crown of Great Britain cannot be considered hereafter as holding any rights, privileges, or immunities among us. (5). Resolved . . . That all officers, both civil and military, in the country, be entitled to exercise the same powers and authorities as heretofore; that every member of this delegation shall henceforth be civil officer and exercise the powers of a justice of the peace, issue process, hear and determine controversies according to law, preserve peace, union and harmony in the country, and use every exertion to spread the love of liberty and of country until a more general and better organized system of government be established. (6). Resolved . . . That a copy of these resolutions be transmitted by express to the President of the Continental Congress assembled in Philadelphia to be laid before that body. THEREFORE, BE IT RESOLVED that the State (or City Council) of _______________, acting in the spirit of the 1776, pursuant to intentions of the federal compact, and answering the call of history, does hereby declare that the aforementioned sections of the NDAA offend the Bill of Rights and therefore instruct all our public agencies to decline requests by federal agencies acting under detention powers granted by the NDAA that could infringe upon residents’ freedom of speech, religion, assembly, privacy, or rights to counsel. BE IT RESOLVED that the State (or City Council) of _______________, does hereby declare that persons holding executive offices in this State, including sheriffs, police, and town clerks, are restrained by the duties and allegiance they owe this State and the People from affording any official conduct, aid, or co-operation in the execution in the aforesaid unconstitutional act, and that no court in this State shall relinquish jurisdiction over any citizen to any federal court. BE IT RESOLVED, that no agency, political subdivision, employee, or member of the military of ________ (State) will be permitted to assist an agency of the armed forces of the United States in the investigation, prosecution, or detention of a citizen pursuant to the NDAA, in violation of the United States Constitution and the Constitution of ______ (State). BE IT RESOLVED, that no federal agent shall be permitted to exercise jurisdiction over any citizen in this State pursuant to the NDAA. The Governor (or Mayor) of ___________________ shall send copies of this resolution to our US Congressman and Senators, the US Senate Committee on the Judiciary, the US Senate Select Committee on Intelligence, the US House of Representatives Committee on the Judiciary, the US House of Representatives Permanent Select Committee on Intelligence, the US Attorney General, and the President of the United States.